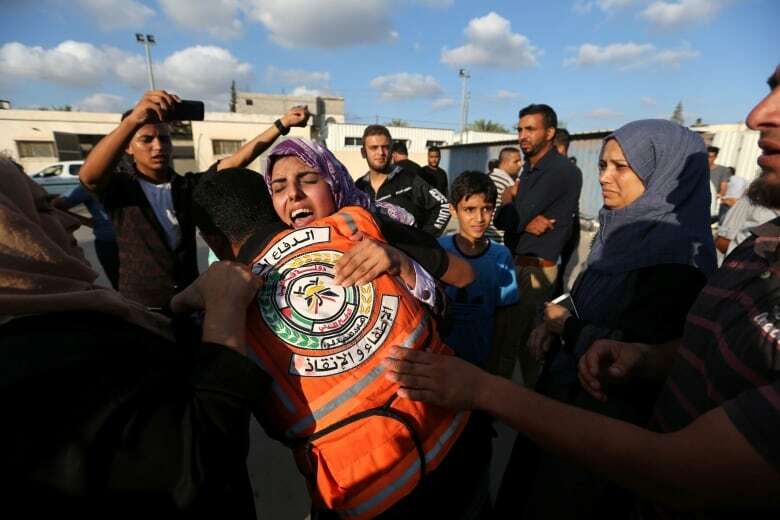 Israel pummelled Hamas targets in Gaza Friday, killing four Palestinians, mostly Hamas operatives, in a series of airstrikes after gunmen shot an Israeli soldier near the border, officials said. The military said a "terrorist squad" fired at troops, and one soldier was severely injured and later died of his wounds. He was the first Israeli military fatality in months of violence along the Gaza border. After the Palestinian fire, Israel's military said it struck 15 Hamas positions including weapon warehouses, command and control centers and training facilities. 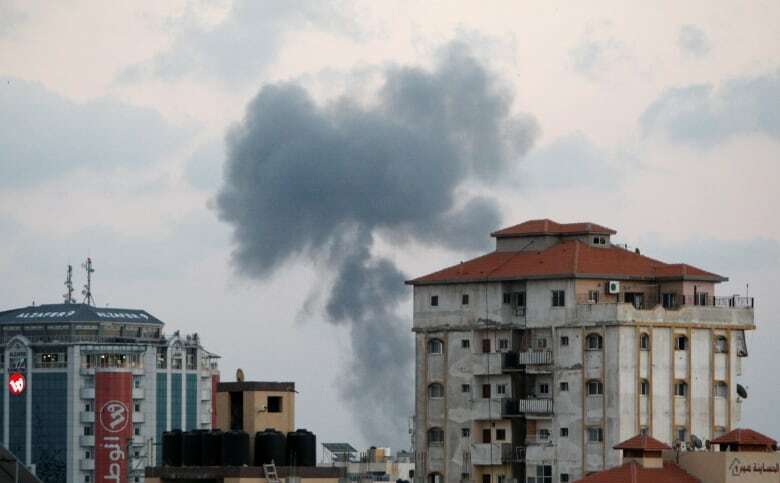 It said "fighter jets commenced a wide-scale attack against Hamas military targets throughout the Gaza Strip." It added that "Hamas chose to escalate the security situation and will bear the consequences for its actions." Sirens wailed Friday night in parts of southern Israel warning of incoming Palestinian rockets. Israel said two were intercepted by its Iron Dome aerial defence system. Earlier Friday, Israel's Defence Minister Avigdor Lieberman visited Sderot, an Israeli town near Gaza that has been hard hit by Palestinian rockets over the years. "The heads of Hamas are forcibly leading us to a no choice situation in which we will need to embark on wide and painful military operation," Lieberman said. For what is believed to be the first time, an incendiary balloon of the kind used in Gaza was found in the garden of southeast Jerusalem home close to the Palestinian town of Beit Jala. Police sappers dealt with the device. The demonstrations have been fuelled in large part by opposition to the blockade, which has caused widespread economic hardship. At least 135 Palestinians have been killed by Israeli fire since the border protests began on March 30. The UN Office for the Co-ordination of Humanitarian Affairs says a "large number" of the casualties were among unarmed demonstrators.